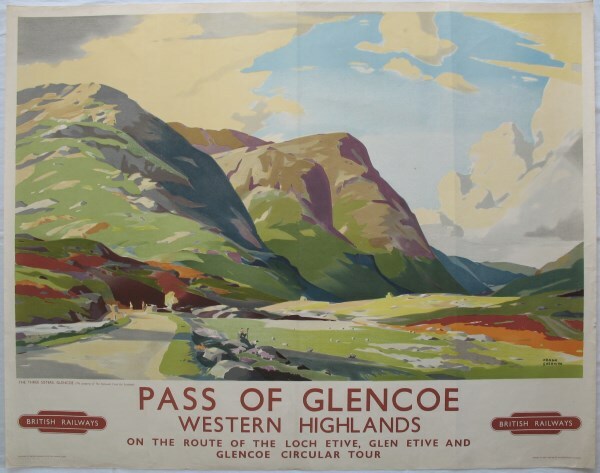 Lot 40 Q/R Poster 1950s BR (ScR) "Pass of Glencoe - Western Highlands", by Frank Sherwin. The "Three Sisters" of Glencoe in peaceful conditions. Generally very good condition, with acid-free tape repairs on rear.